Courtesy of JOHN LOFTUS, Keller Williams of Central PA East. This is your chance to jump into real neighborhood living in the award-winning neighborhood of WALDEN. 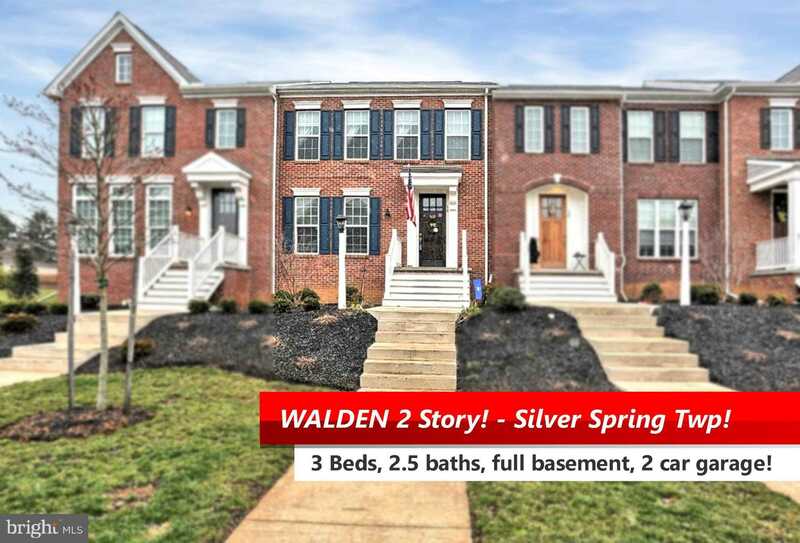 Located in Silver Spring Twp (CV Schools), this sought after planned community has a neighborhood restaurant, bar, salon, pool, gym and daycare along with other retails shops. No need to mow your lawn here, with one of the lowest full service HOA’s* in the area. Over 64 acres of open space and miles of walkable trails. You will never need to leave! Your new home is located in ‘The Garden’ section of the community, which boasts both privacy and safety with no street front noise. The ‘Hartford’ floor plan is a 2 story, open-concept design with 3 generous bedrooms, 2.5 baths and full sized basement with high ceilings. All low-cost gas appliances and heat along with an airy kitchen overlooking the family room fireplace. You’ll enjoy a sizeable 2 car garage, but don’t forget your bonus off-street extra parking in the back off Nook Alley! You won’t want to miss your shot to own a private oasis in the heart of this community! Call today for a private tour! Let’s Talk! Please, send me more information on this property: MLS# PACB106594 – $294,800 – 14 Nook Alley, Mechanicsburg, PA 17050. I would like to schedule a private showing for this property: MLS# PACB106594 – $294,800 – 14 Nook Alley, Mechanicsburg, PA 17050.